Mesut Ozil and girlfriend Amine Gulse were celebrating a new addition to the family today. The Arsenal star may be barking mad after being dropped by boss Unai Emery in recent weeks. But the German World Cup winner and his partner could not contain their joy after receiving an early Christmas present. 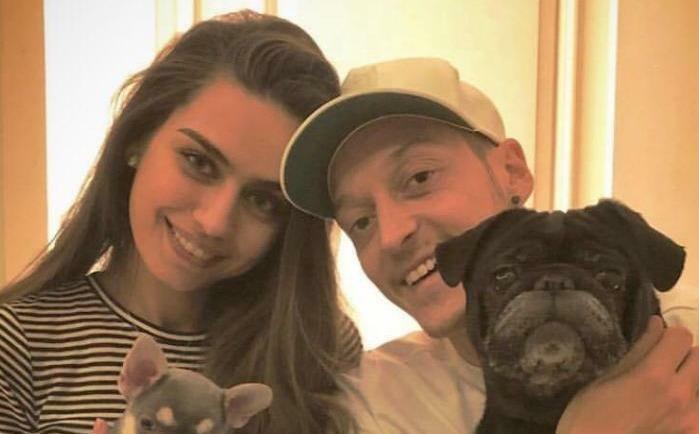 Ozil, 30, and Gulse have adopted a French Bulldog and have immediately fallen in love with their new “little baby”. And even their pet pug Balboa looked to be pleased with his companion as the couple shared some snaps of the pooch on social media. She then provided her followers with a more detailed look at the pup, showing off its cute face as she clung to him tightly. And that was followed by another heart-warming snap of the new dog alongside its new older brother Balboa. Ozil will now be hoping to get tails wagging by helping the Gunners bounce back from Sunday’s defeat at Southampton with Carabao Cup joy against rivals Tottenham. The attacker came on for the final twenty minutes at St Mary’s but was unable to stop Arsenal’s 22-match unbeaten run come to an end as they went down 3-2 on the south coast.